The NBA said Friday it is not currently planning to move the 2017 All-Star Game out of Charlotte, North Carolina, despite the state's anti-LGBT "bathroom law." "It would be easy to say we're moving it," NBA Commissioner Adam Silver said. "We feel there's a constructive role for the league to play. If we announce we're moving it now, what's the incentive to change the law?" The law, which took effect in March, prevents cities in North Carolina from creating non-discrimination policies based on gender identity. (The law was enacted after Charlotte passed such an ordinance.) 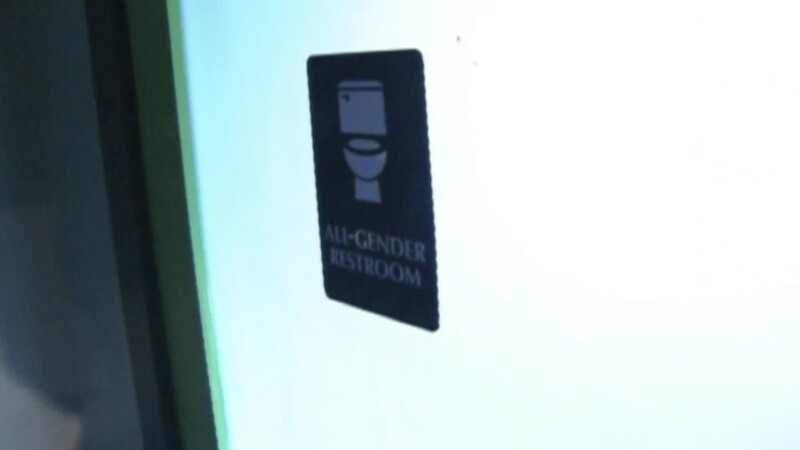 It also mandates that students in state schools use the bathroom that corresponds with the gender on their birth certificate. After it was passed, the NBA suggested it might move the All-Star Game if the law wasn't repealed. The league tweeted that it was "deeply concerned that this discriminatory law runs counter to our guiding principals of equality and mutual respect and do not know what impact it will have on our ability to successfully host the 2017 All-Star game in Charlotte." Silver reiterated that sentiment during Friday's press conference and said putting pressure on lawmakers was more effective than "setting deadlines or making ultimatums." He said there was "no discussion of moving the All-Star Game. What the view in the room was: We should be working toward change." The league later issued a statement Silver's comments. "At no time did Adam affirm that the league would not move the All-Star Game; rather he stressed repeatedly that the legislation is problematic, that we feel it is best to engage with the community to work towards a solution, that change is needed and we are hopeful that it will occur," the statement said. Each year the All-Star Game brings in millions for the host city. The 2017 game is scheduled to be played at Time Warner Cable Arena, the home of the Charlotte Hornets, on Feb. 19, 2017. Silver said he wasn't sure what message it would be sending about the presence of the Hornets in Charlotte if the All-Star Game was moved. During the first round of the NBA Playoffs, which begin Saturday, the Hornets will host the Miami Heat. The news about the All-Star Game was disclosed during a press conference held after the league's Board of Governors' spring meeting. The board makes decisions for the league and is comprised of team owners and their representatives. The announcement comes after six U.S. senators wrote an open letter to Silver asking him to move the game out of North Carolina. "Millions of Americans and millions more people around the world look up to the NBA," the letter said. "The NBA boasts one of the most multicultural and multiethnic groups of players of any sports league in the world with more than 100 international players on its rosters." The letter also mentioned former NBA player Jason Collins, who came out in 2013. He was the first openly gay athlete to play in any of the four major professional sports leagues in the U.S.
NBA Hall of Famer Charles Barkley and Detroit Pistons coach Stan Van Gundy also appealed to Silver for a change of venue.